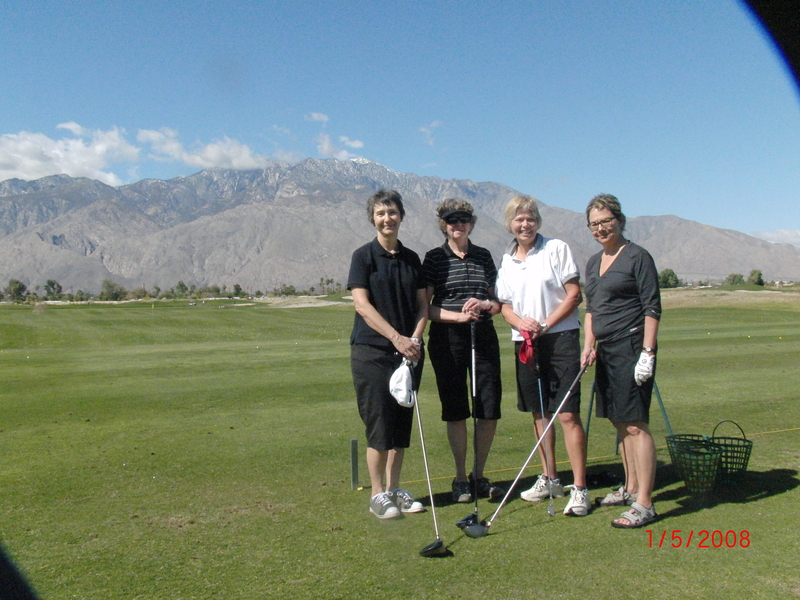 A few weeks ago four of us trekked off to Palm Springs, California to attend a three-day golf school. We did other things in Palm Springs but attending the golf school was the reason we made the trip. 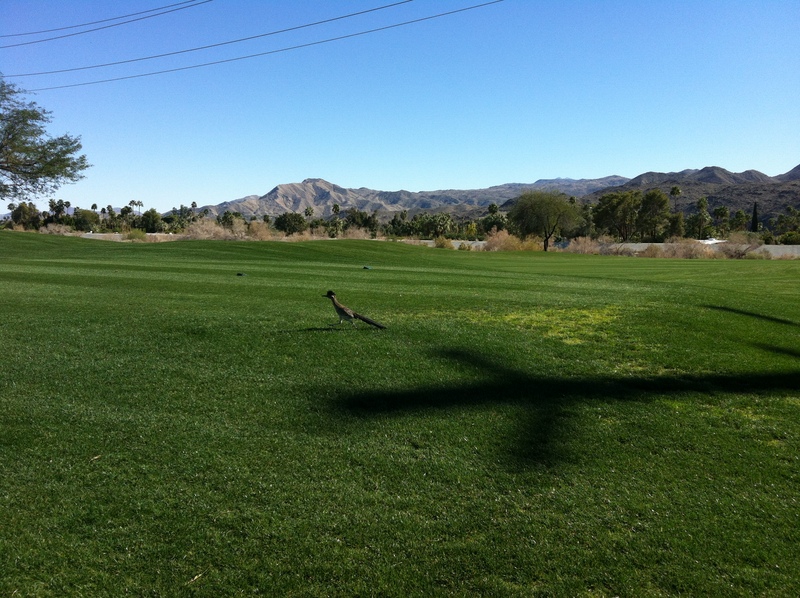 There are probably many golf schools in Palm Springs. We decided to enrol in the Cahill Golf School where our teacher was Mike Cahill. There were just the four of us in the class. It was nice being only with people you know. Mike has taught for about ten years. Mike and his father Dave run golf schools in Las Vegas and Palm Springs. We decided to spread our three days out a bit during the week. That was wise for you go from a winter climate with pretty much no golf (unless you are the sort who goes to indoor ranges or simulators) to 6-8 hours of golf in a day. Our day started with almost four hours of instruction on the driving range and putting green. That is a lot of time. After a bit of break we would go on to the Cimarron Golf Resort course and play 18 holes. Mike came with us for the first few holes to watch and give some advice on course management. The weather was mixed throughout our time there but we tried to take full advantage of Mike’s knowledge (and patience perhaps) no matter the weather. Speaking with and for my friends, we would all recommend the school (and don’t pay attention to the fact the photo is dated 2008, really it wasn’t taken then-maybe that’s just some weird note from the ether that says I should have gone to a school at least 5 years ago). Mike coached each of us based on our individual abilities. He didn’t try to make us all do the same thing i.e. it wasn’t a cookie cutter approach. We had videos taken of our swings at the beginning and end of the school and we have those videos to watch now that we are home. We can continue to ask Mike questions and if we have trouble (as if we won’t), we can take a video and send it to him and he’ll help us from afar. Now that’s service. The thing is, we flew back to winter and now the challenge is to remember all we learned since we can’t get out and practice right away. What was I to try with my grip? How were we to set up for that shot just off the green? Have you gone to a golf school in winter? Would you go back? Please tell me it changed your game in a good way. We golfed at a few other courses when we were in Palm Springs including the Resort Course at Tahquitz Creek and the Escena Golf Club. 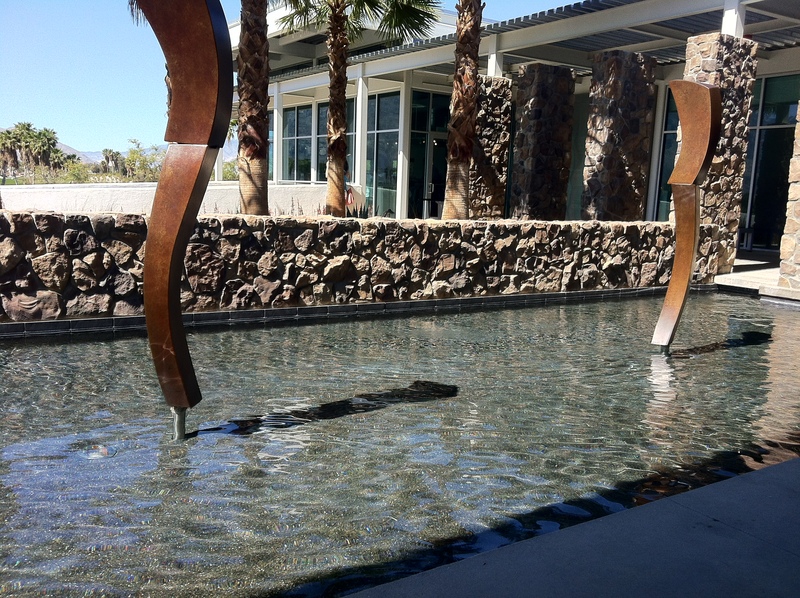 The following gives you some idea of the scenery-first a serious swing, then a road runner and a cactus shadow on the fairway and lunch by the reflecting pool. Ah, so nice.